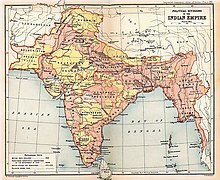 At the time of Indian independence in 1947, India was divided into two sets of territories, one under direct British rule, and the other under the suzerainty of the British Crown, with control over their internal affairs remaining in the hands of their hereditary rulers. The latter included 554 princely states, having different types of revenue sharing arrangements with the British, often depending on their size, population and local conditions. In addition, there were several colonial enclaves controlled by France and Portugal. The political integration of these territories into India was a declared objective of the Indian National Congress, and the Government of India pursued this over the next decade. Through a combination of factors, Sardar Vallabhbhai Patel and V. P. Menon convinced most of the rulers of the various princely states to accede to India. 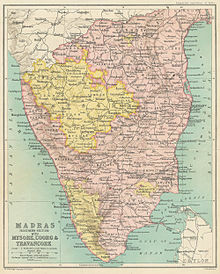 Having secured their accession, they then proceeded, in a step-by-step process, to secure and extend the central government's authority over these states and transform their administrations until, by 1956, there was little difference between the territories that had been part of British India and those that had been princely states. Simultaneously, the Government of India, through a combination of diplomatic and military means, acquired de facto and de jure control over the remaining colonial enclaves, which too were integrated into India. Although this process successfully integrated the vast majority of the princely states into India, it was not as successful for a few, notably the former princely states of Jammu and Kashmir, Tripura and Manipur, where active secessionist movements continued to exist due to various reasons. The early history of British expansion in India was characterised by the co-existence of two approaches towards the existing princely states. The first was a policy of annexation, where the British sought to forcibly absorb the Indian princely states into the provinces which constituted their Empire in India. The second was a policy of indirect rule, where the British assumed suzerainty and paramountcy over princely states, but conceded to them sovereignty and varying degrees of internal self-government. During the early part of the 19th century, the policy of the British tended towards annexation, but the Indian Rebellion of 1857 forced a change in this approach, by demonstrating both the difficulty of absorbing and subduing annexed states, and the usefulness of princely states as a source of support. In 1858, the policy of annexation was formally renounced, and British relations with the remaining princely states thereafter were based on subsidiary alliances, whereby the British exercised paramountcy over all princely states, with the British crown as ultimate suzerain, but at the same time respected and protected them as allies, taking control of their external relations. The exact relations between the British and each princely state were regulated by individual treaties and varied widely, with some states having complete internal self-government, others being subject to significant control in their internal affairs, and some rulers being in effect little more than the owners of landed estates, with little autonomy. During the 20th century, the British made several attempts to integrate the princely states more closely with British India, in 1921 creating the Chamber of Princes as a consultative and advisory body, and in 1936 transferring the responsibility for the supervision of smaller states from the provinces to the centre and creating direct relations between the Government of India and the larger princely states, superseding political agents. A more ambitious aim was a scheme of federation contained in the Government of India Act 1935, which envisaged the princely states and British India being united under a federal government. This scheme came close to success, but was abandoned in 1939 as a result of the outbreak of the Second World War. As a result, in the 1940s the relationship between the princely states and the crown remained regulated by the principle of paramountcy and by the various treaties between the British crown and the states. Neither paramountcy nor the subsidiary alliances could continue after Indian independence. The British took the view that because they had been established directly between the British crown and the princely states, they could not be transferred to the newly independent dominions of India and Pakistan. At the same time, the alliances imposed obligations on Britain that it was not prepared to continue to carry out, such as the obligation to maintain troops in India for the defence of the princely states. The British government therefore decided that paramountcy, together with all treaties between them and the princely states, would come to an end upon the British departure from India. The termination of paramountcy meant that all rights flowing from the states' relationship with the British crown would return to them, leaving them free to negotiate relationships with the new states of India and Pakistan "on a basis of complete freedom". Early British plans for the transfer of power, such as the offer produced by the Cripps Mission, recognised the possibility that some princely states might choose to stand out of independent India. This was unacceptable to the Indian National Congress, which regarded the independence of princely states as a denial of the course of Indian history, and consequently regarded this scheme as a "Balkanisation" of India. The Congress had traditionally been less active in the princely states because of their limited resources which restricted their ability to organise there and their focus on the goal of independence from the British, and because Congress leaders, in particular Mohandas Gandhi, were sympathetic to the more progressive princes as examples of the capacity of Indians to rule themselves. This changed in the 1930s as a result of the federation scheme contained in the Government of India Act 1935 and the rise of socialist Congress leaders such as Jayaprakash Narayan, and the Congress began to actively engage with popular political and labour activity in the princely states. By 1939, the Congress's formal stance was that the states must enter independent India, on the same terms and with the same autonomy as the provinces of British India, and with their people granted responsible government. As a result, it attempted to insist on the incorporation of the princely states into India in its negotiations with the British, but the British took the view that this was not in their power to grant. A few British leaders, particularly Lord Mountbatten, the last British viceroy of India, were also uncomfortable with breaking links between independent India and the princely states. The development of trade, commerce and communications during the 19th and 20th centuries had bound the princely states to the British India through a complex network of interests. Agreements relating to railways, customs, irrigation, use of ports, and other similar agreements would get terminated, posing a serious threat to the economic life of the subcontinent. Mountbatten was also persuaded by the argument of Indian officials such as V. P. Menon that the integration of the princely states into independent India would, to some extent, assuage the wounds of partition. The result was that Mountbatten personally favoured and worked towards the accession of princely states to India following the transfer of power, as proposed by the Congress. However, Sardar Patel looked back on events at a press conference in January 1948, declaring "As you are all aware, on the lapse of Paramountcy every Indian State became a separate independent entity." The rulers of the princely states were not uniformly enthusiastic about integrating their domains into independent India. Some, such as the rulers of Bikaner and Jawhar, were motivated to join India out of ideological and patriotic considerations, but others insisted that they had the right to join either India or Pakistan, to remain independent, or form a union of their own. Bhopal, Travancore and Hyderabad announced that they did not intend to join either dominion. Hyderabad went as far as to appoint trade representatives in European countries and commencing negotiations with the Portuguese to lease or buy Goa to give it access to the sea, and Travancore pointed to the strategic importance to western countries of its thorium reserves while asking for recognition. Some states proposed a subcontinent-wide confederation of princely states, as a third entity in addition to India and Pakistan. Bhopal attempted to build an alliance between the princely states and the Muslim League to counter the pressure being put on rulers by the Congress. A number of factors contributed to the collapse of this initial resistance and to nearly all non-Muslim majority princely states agreeing to accede to India. An important factor was the lack of unity among the princes. The smaller states did not trust the larger states to protect their interests, and many Hindu rulers did not trust Muslim princes, in particular Hamidullah Khan, the Nawab of Bhopal and a leading proponent of independence, whom they viewed as an agent for Pakistan. Others, believing integration to be inevitable, sought to build bridges with the Congress, hoping thereby to gain a say in shaping the final settlement. The resultant inability to present a united front or agree on a common position significantly reduced their bargaining power in negotiations with the Congress. The decision by the Muslim League to stay out of the Constituent Assembly was also fatal to the princes' plan to build an alliance with it to counter the Congress, and attempts to boycott the Constituent Assembly altogether failed on 28 April 1947, when the states of Baroda, Bikaner, Cochin, Gwalior, Jaipur, Jodhpur, Patiala and Rewa took their seats in the Assembly. Many princes were also pressured by popular sentiment favouring integration with India, which meant their plans for independence had little support from their subjects. The Maharaja of Travancore, for example, definitively abandoned his plans for independence after the attempted assassination of his dewan, Sir C. P. Ramaswami Iyer. In a few states, the chief ministers or dewans played a significant role in convincing the princes to accede to India. 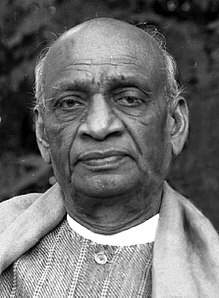 The key factors that led the states to accept integration into India were, however, the efforts of Lord Mountbatten, Sardar Vallabhbhai Patel and V. P. Menon. The latter two were respectively the political and administrative heads of the States Department, which was in charge of relations with the princely states. Mountbatten believed that securing the states' accession to India was crucial to reaching a negotiated settlement with the Congress for the transfer of power. As a relative of the British King, he was trusted by most of the princes and was a personal friend of many, especially the Nawab of Bhopal, Hamidullah Khan. The princes also believed that he would be in a position to ensure that independent India adhered to any terms that might be agreed upon, because Prime Minister Jawaharlal Nehru and Patel had asked him to become the first Governor General of the Dominion of India. By far the most significant factor that led to the princes' decision to accede to India was the policy of the Congress and, in particular, of Patel and Menon. The Congress' stated position was that the princely states were not sovereign entities, and as such could not opt to be independent notwithstanding the end of paramountcy. The princely states must therefore accede to either India or Pakistan. In July 1946, Nehru pointedly observed that no princely state could prevail militarily against the army of independent India. In January 1947, he said that independent India would not accept the divine right of kings, and in May 1947, he declared that any princely state which refused to join the Constituent Assembly would be treated as an enemy state. Other Congress leaders, such as C. Rajagopalachari, argued that as paramountcy "came into being as a fact and not by agreement", it would necessarily pass to the government of independent India, as the successor of the British. Patel and Menon backed up their diplomatic efforts by producing treaties that were designed to be attractive to rulers of princely states. Two key documents were produced. The first was the Standstill Agreement, which confirmed the continuance of the pre-existing agreements and administrative practices. The second was the Instrument of Accession, by which the ruler of the princely state in question agreed to the accession of his kingdom to independent India, granting the latter control over specified subject matters. The nature of the subject matters varied depending on the acceding state. The states which had internal autonomy under the British signed an Instrument of Accession which only ceded three subjects to the government of India—defence, external affairs, and communications, each defined in accordance with List 1 to Schedule VII of the Government of India Act 1935. Rulers of states which were in effect estates or talukas, where substantial administrative powers were exercised by the Crown, signed a different Instrument of Accession, which vested all residuary powers and jurisdiction in the Government of India. Rulers of states which had an intermediate status signed a third type of Instrument, which preserved the degree of power they had under the British. The Instruments of Accession implemented a number of other safeguards. Clause 7 provided that the princes would not be bound to the Indian constitution as and when it was drafted. Clause 8 guaranteed their autonomy in all areas that were not ceded to the Government of India. This was supplemented by a number of promises. Rulers who agreed to accede would receive guarantees that their extra-territorial rights, such as immunity from prosecution in Indian courts and exemption from customs duty, would be protected, that they would be allowed to democratise slowly, that none of the eighteen major states would be forced to merge, and that they would remain eligible for British honours and decorations. In discussions, Lord Mountbatten reinforced the statements of Patel and Menon by emphasising that the documents gave the princes all the "practical independence" they needed. Mountbatten, Patel and Menon also sought to give princes the impression that if they did not accept the terms put to them then, they might subsequently need to accede on substantially less favourable terms. The Standstill Agreement was also used as a negotiating tool, as the States Department categorically ruled out signing a Standstill Agreement with princely states that did not sign an Instrument of Accession. The ruler of Jodhpur, Hanwant Singh, was antipathetic to the Congress, and did not see much future in India for him or the lifestyle he wished to lead. Along with the ruler of Jaisalmer, he entered into negotiations with Muhammad Ali Jinnah, who was the designated head of state for Pakistan. Jinnah was keen to attract some of the larger border states, hoping thereby to attract other Rajput states to Pakistan and compensate for the loss of half of Bengal and Punjab. He offered to permit Jodhpur and Jaisalmer to accede to Pakistan on any terms they chose, giving their rulers blank sheets of paper and asking them to write down their terms, which he would sign. Jaisalmer refused, arguing that it would be difficult for him to side with Muslims against Hindus in the event of communal problems. Hanwant Singh came close to signing. However, the atmosphere in Jodhpur was in general hostile to accession to Pakistan. Mountbatten also pointed out that the accession of a predominantly Hindu state to Pakistan would violate the principle of the two-nation theory on which Partition was based, and was likely to cause communal violence in the State. Hanwant Singh was persuaded by these arguments, and somewhat reluctantly agreed to accede to India. India believed that if Junagadh was permitted to go to Pakistan, the communal tension already simmering in Gujarat would worsen, and refused to accept the accession. The government pointed out that the state was 80% Hindu, and called for a referendum to decide the question of accession. Simultaneously, they cut off supplies of fuel and coal to Junagadh, severed air and postal links, sent troops to the frontier, and reoccupied the principalities of Mangrol and Babariawad that had acceded to India. Pakistan agreed to discuss a plebiscite, subject to the withdrawal of Indian troops, a condition India rejected. On 26 October, the Nawab and his family fled to Pakistan following clashes with Indian troops. On 7 November, Junagadh's court, facing collapse, invited the Government of India to take over the State's administration. The Government of India agreed. A plebiscite was conducted in February 1948, which went almost unanimously in favour of accession to India. Shown in green is the Kashmiri region under Pakistani control. The dark-brown region represents Indian-administered Jammu and Kashmir while the Aksai Chin is under Chinese administration. At the time of the transfer of power, the state of Jammu and Kashmir (widely called "Kashmir") was ruled by Maharaja Hari Singh, a Hindu, although the state itself had a Muslim majority. Hari Singh was equally hesitant about acceding to either India or Pakistan, as either would have provoked adverse reactions in parts of his kingdom. He signed a Standstill Agreement with Pakistan and proposed one with India as well, but announced that Kashmir intended to remain independent. However, his rule was opposed by Sheikh Abdullah, the popular leader of Kashmir's largest political party, the National Conference, who demanded his abdication. Pakistan, attempting to force the issue of Kashmir's accession, cut off supplies and transport links. The chaos in Punjab resulting from Partition had also severed transport links with India, meaning that Kashmir's only links with the two dominions was by air. 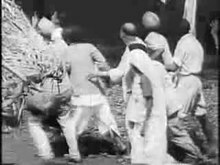 Rumours about atrocities against the Muslim population of Poonch by the Maharajah's forces caused the outbreak of civil unrest. Shortly thereafter, Pathan tribesmen from the North-West Frontier Province of Pakistan crossed the border and entered Kashmir. The invaders made rapid progress towards Srinagar. The Maharaja of Kashmir wrote to India, asking for military assistance. India required the signing of an Instrument of Accession and setting up an interim government headed by Sheikh Abdullah in return. The Maharaja complied, but Nehru declared that it would have to be confirmed by a plebiscite, although there was no legal requirement to seek such confirmation. Indian troops secured Jammu, Srinagar and the valley itself during the First Kashmir War, but the intense fighting flagged with the onset of winter, which made much of the state impassable. Prime Minister Nehru, recognising the degree of international attention brought to bear on the dispute, declared a ceasefire and sought UN arbitration, arguing that India would otherwise have to invade Pakistan itself, in view of its failure to stop the tribal incursions. The plebiscite was never held, and on 26 January 1950, the Constitution of India came into force in Kashmir, but with special provisions made for the state. India did not, however, secure administrative control over all of Kashmir. The northern and western portions of Kashmir came under Pakistan's control in 1947, and are today Pakistan-administered Kashmir. In the 1962 Sino-Indian War, China occupied Aksai Chin, the north-eastern region bordering Ladakh, which it continues to control and administer. Hyderabad state in 1909. Its former territories are today incorporated in the Indian states of Telangana, Karnataka and Maharashtra. Major General Syed Ahmed El Edroos (at right) offers his surrender of the Hyderabad State Forces to Major General (later General and Army Chief) Joyanto Nath Chaudhuri at Secunderabad. Hyderabad was a landlocked state that stretched over 82,000 square miles (over 212,000 square kilometres) in southeastern India. While 87% of its 17 million people were Hindu, its ruler Nizam Osman Ali Khan was a Muslim, and its politics were dominated by a Muslim elite. The Muslim nobility and the Ittehad-ul-Muslimeen, a powerful pro-Nizam Muslim party, insisted Hyderabad remain independent and stand on an equal footing to India and Pakistan. Accordingly, the Nizam in June 1947 issued a firman announcing that on the transfer of power, his state would be resuming independence. The Government of India rejected the firman, terming it a "legalistic claim of doubtful validity". It argued that the strategic location of Hyderabad, which lay astride the main lines of communication between northern and southern India, meant it could easily be used by "foreign interests" to threaten India, and that in consequence, the issue involved national-security concerns. It also pointed out that the state's people, history and location made it unquestionably Indian, and that its own "common interests" therefore mandated its integration into India. The Nizam was also beset by the Telangana Rebellion, led by communists, which started in 1946 as a peasant revolt against feudal elements; and one which the Nizam was not able to subjugate. The situation deteriorated further in 1948. The Razakars ("volunteers"), a militia affiliated to the Ittehad-ul-Muslimeen and set up under the influence of Muslim radical Qasim Razvi, assumed the role of supporting the Muslim ruling class against upsurges by the Hindu populace, and began intensifying its activities and was accused of attempting to intimidate villages. The Hyderabad State Congress Party, affiliated to the Indian National Congress, launched a political agitation. Matters were made worse by communist groups, which had originally supported the Congress but now switched sides and began attacking Congress groups. Attempts by Mountbatten to find a negotiated solution failed and, in August, the Nizam, claiming that he feared an imminent invasion, attempted to approach the UN Security Council and the International Court of Justice. Patel now insisted that if Hyderabad was allowed to continue its independence, the prestige of the Government would be tarnished and then neither Hindus nor Muslims would feel secure in its realm. On 13 September 1948, the Indian Army was sent into Hyderabad under Operation Polo on the grounds that the law and order situation there threatened the peace of South India. The troops met little resistance by the Razakars and between 13 and 18 September took complete control of the state. The operation led to massive communal violence with estimates of deaths ranging from the official one of 27,000–40,000 to scholarly ones of 200,000 or more. The Nizam was retained as the head of state in the same manner as the other princes who acceded to India. He thereupon disavowed the complaints that had been made to the UN and, despite vehement protests from Pakistan and strong criticism from other countries, the Security Council did not deal further with the question, and Hyderabad was absorbed into India. The first step in this process, carried out between 1947 and 1949, was to merge the smaller states that were not seen by the Government of India to be viable administrative units either into neighbouring provinces, or with other princely states to create a "princely union". This policy was contentious, since it involved the dissolution of the very states whose existence India had only recently guaranteed in the Instruments of Accession. Patel and Menon emphasised that without integration, the economies of states would collapse, and anarchy would arise if the princes were unable to provide democracy and govern properly. They pointed out that many of the smaller states were very small and lacked resources to sustain their economies and support their growing populations. Many also imposed tax rules and other restrictions that impeded free trade, and which had to be dismantled in a united India. Given that merger involved the breach of guarantees personally given by Mountbatten, initially Patel and Nehru intended to wait until after his term as Governor-General ended. An adivasi uprising in Orissa in late 1947, however, forced their hand. In December 1947, princes from the Eastern India Agency and Chhattisgarh Agency were summoned to an all-night meeting with Menon, where they were persuaded to sign Merger Agreements integrating their states into Orissa, the Central Provinces and Bihar with effect from 1 January 1948. Later that year, 66 states in Gujarat and the Deccan were merged into Bombay, including the large states of Kolhapur and Baroda. Other small states were merged into Madras, East Punjab, West Bengal, the United Provinces and Assam. Not all states that signed Merger Agreements were integrated into provinces, however. Thirty states of the former Punjab Hill States Agency which lay near the international border and had signed Merger Agreements were integrated into Himachal Pradesh, a distinct entity which was administered directly by the centre as a Chief Commissioner's Province, for reasons of security. Kutch in western India, and Tripura and Manipur in Northeast India, all of which lay along international borders, were also asked to sign Merger Agreement, following which they became Chief Commissioners' Provinces. Bhopal, whose ruler was proud of the efficiency of his administration and feared that it would lose its identity if merged with the Maratha states that were its neighbours, also became a directly administered Chief Commissioner's Province, as did Bilaspur, much of which was likely to be flooded on completion of the Bhakra dam. The bulk of the larger states, and some groups of small states, were integrated through a different, four-step process. The first step in this process was to convince groups of large states to combine to form a "princely union" through the execution by their rulers of Covenants of Merger. Under the Covenants of Merger, all rulers lost their ruling powers, save one who became the Rajpramukh of the new union. The other rulers were associated with two bodies—the council of rulers, whose members were the rulers of salute states, and a presidium, one or more of whose members were elected by the rulers of non-salute states, with the rest elected by the council. The Rajpramukh and his deputy Uprajpramukh were chosen by the council from among the members of the presidium. The Covenants made provision for the creation of a constituent assembly for the new union which would be charged with framing its constitution. In return for agreeing to the extinction of their states as discrete entities, the rulers were given a privy purse and guarantees similar to those provided under the Merger Agreements. Democratisation still left open one important distinction between the former princely states and the former British provinces, namely, that since the princely states had signed limited Instruments of Accession covering only three subjects, they were insulated from government policies in other areas. The Congress viewed this as hampering its ability to frame policies that brought about social justice and national development. Consequently, they sought to secure to the central government the same degree of powers over the former princely states as it had over the former British provinces. In May 1948, at the initiative of V. P. Menon, a meeting was held in Delhi between the Rajpramukhs of the princely unions and the States Department, at the end of which the Rajpramukhs signed new Instruments of Accession which gave the Government of India the power to pass laws in respect of all matters that fell within the seventh schedule of the Government of India Act 1935. Subsequently, each of the princely unions, as well as Mysore and Hyderabad, agreed to adopt the Constitution of India as the constitution of that state, thus ensuring that they were placed in exactly the same legal position vis-à-vis the central government as the former British provinces. The only exception was Kashmir, whose relationship with India continued to be governed by the original Instrument of Accession, and the constitution produced by the state's Constituent Assembly. Effective from 1950, the Constitution of India classified the constituent units of India into three classes—Part A, B, and C states. The former British provinces, together with the princely states that had been merged into them, were the Part A states. The princely unions, plus Mysore and Hyderabad, were the Part B states. The former Chief Commissioners' Provinces and other centrally administered areas, except the Andaman and Nicobar Islands, were the Part C states. The only practical difference between the Part A states and the Part B states was that the constitutional heads of the Part B states were the Rajpramukhs appointed under the terms of the Covenants of Merger, rather than Governors appointed by the central government. In addition, Constitution gave the central government a significant range of powers over the former princely states, providing amongst other things that "their governance shall be under the general control of, and comply with such particular directions, if any, as may from time to time be given by, the President". Apart from that, the form of government in both was identical. The distinction between Part A and Part B states was only intended to last for a brief, transitional period. In 1956, the States Reorganisation Act reorganised the former British provinces and princely states on the basis of language. Simultaneously, the Seventh Amendment to the Constitution removed the distinction between Part A and Part B states, both of which were now treated only as "states", with Part C states being renamed "union territories". The Rajpramukhs lost their authority, and were replaced as the constitutional heads of state by Governors, who were appointed by the central government. These changes finally brought the princely order to an end. In both legal and practical terms, the territories that had been part of the princely states were now fully integrated into India and did not differ in any way from those that had been part of British India. The personal privileges of the princes—the privy purse, the exemption from customs duty, and customary dignities—survived, only to be abolished in 1971. Although the progressive integration of the princely states into India was largely peaceful, not all princes were happy with the outcome. Many had expected the Instruments of Accession to be permanent, and were unhappy about losing the autonomy and the guaranteed continued existence of their states they had expected to gain. Some felt uneasy about the disappearance of states that generations of their family had controlled, while others were unhappy about the disappearance of administrative structures they had worked hard to build up and which they believed to be efficient. The majority, however, despite the "strain and tension" of adapting to life as private citizens, were content to retire on the generous pension provided by the privy purse. Several took advantage of their eligibility to hold public offices under the central government. The Maharaja of Bhavnagar, Col. Krishna Kumarasingh Bhavasingh Gohil, for example, became the Governor of Madras State, and several others were appointed to diplomatic posts overseas. The integration of the princely states raised the question of the future of the remaining colonial enclaves in India. At independence, the regions of Pondicherry, Karaikal, Yanam, Mahe and Chandernagore were still colonies of France, and Daman and Diu, Dadra and Nagar Haveli and Goa remained colonies of Portugal. An agreement between France and India in 1948 provided for an election in France's remaining Indian possessions to choose their political future. A plebiscite held in Chandernagore on 19 June 1949 resulted in a vote of 7,463 to 114 in favour of being integrated with India. It was ceded to India on a de facto basis on 14 August 1949 and de jure on 2 May 1950. In the other enclaves, however, the pro-French camp, led by Edouard Goubert, used the administrative machinery to suppress the pro-merger groups. Popular discontent rose, and in 1954 demonstrations in Yanam and Mahe resulted in pro-merger groups assuming power. A referendum in Pondicherry and Karaikal in October 1954 resulted in a vote in favour of merger, and on 1 November 1954, de facto control over all four enclaves was transferred to the Republic of India. A treaty of cession was signed in May 1956, and following ratification by the French National Assembly in May 1962, de jure control of the enclaves was also transferred. Goa, Daman and Diu remained an outstanding issue. On 15 August 1955, five thousand non-violent demonstrators marched against the Portuguese at the border, and were met with gunfire, killing 22. In December 1960, the United Nations General Assembly rejected Portugal's contention that its overseas possessions were provinces, and formally listed them as "non-self-governing territories". Although Nehru continued to favour a negotiated solution, the Portuguese suppression of a revolt in Angola in 1961 radicalised Indian public opinion, and increased the pressure on the Government of India to take military action. African leaders, too, put pressure on Nehru to take action in Goa, which they argued would save Africa from further horrors. On 18 December 1961, following the collapse of an American attempt to find a negotiated solution, the Indian Army entered Portuguese India and defeated the Portuguese garrisons there. The Portuguese took the matter to the Security Council but a resolution calling on India to withdraw its troops immediately was defeated by the USSR's veto. Portugal surrendered on 19 December. This take-over ended the last of the European colonies in India. Goa was incorporated into India as a centrally administered union territory and, in 1987, became a state. Historically, Sikkim was a British dependency, with a status similar to that of the other princely states, and was therefore considered to be within the frontiers of India in the colonial period. On independence, however, the Chogyal of Sikkim resisted full integration into India. Given the region's strategic importance to India, the Government of India signed first a Standstill Agreement and then in 1950 a full treaty with the Chogyal of Sikkim which in effect made it a protectorate which was no longer part of India. India had responsibility for defence, external affairs and communications, and ultimate responsibility for law and order, but Sikkim was otherwise given full internal autonomy. In the late 1960s and early 1970s, the Chogyal Palden Thondup Namgyal, supported by the minority Bhutia and Lepcha upper classes, attempted to negotiate greater powers, particularly over external affairs, to give Sikkim more of an international personality. These policies were opposed by Kazi Lhendup Dorji and the Sikkim State Congress, who represented the ethnic Nepali middle classes and took a more pro-Indian view. In April 1973, anti-Chogyal agitation broke out and protestors demanded popular elections. The Sikkim police were unable to control the demonstrations, and Dorji asked India to exercise its responsibility for law and order and intervene. India facilitated negotiations between the Chogyal and Dorji, and produced an agreement, which envisaged the reduction of the Chogyal to the role of a constitutional monarch and the holding of elections based on a new ethnic power-sharing formula. The Chogyal's opponents won an overwhelming victory, and a new Constitution was drafted providing for Sikkim to be associated with the Republic of India. On 10 April 1975, the Sikkim Assembly passed a resolution calling for the state to be fully integrated into India. This resolution was endorsed by 97 percent of the vote in a referendum held on 14 April 1975, following which the Indian Parliament amended the constitution to admit Sikkim into India as its 22nd state. Separatist movements also exist in two other former princely states located in Northeast India—Tripura and Manipur. These separatist movements are generally treated by scholars as being part of the broader problem of insurgencies in North-east India, rather being a result of specific problems in integrating the princely states into India, as the Kashmir problem is and, in particular, to reflect the failure of the Government of India to adequately address the aspirations of tribal groups in the Northeast, or to tackle the tensions arising from the immigration of people from other parts of India to the north-eastern areas. The integration of former princely states with other provinces to form new states has also given rise to some issues. 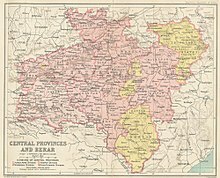 The Telangana region, comprising the Telugu-speaking districts of the former Hyderabad State, were in many ways different from the Telugu-speaking areas of British India with which they were merged. In recognition of these differences, the States Reorganisation Commission originally recommended that Telangana be created as a separate state, rather than as part of a broader Telugu-speaking entity. This recommendation was rejected by the Government of India, and Telangana was merged into Andhra Pradesh. The result was the emergence in the 1960s of a movement demanding a separate Telangana state. The demand has been accepted by the Union Government, leading to formation of Telangana as the 29th state of India in June 2014. A similar movement, although less strong, exists in the Vidarbha region of Maharashtra, which consists of the former Nagpur state and the Berar region of the former Hyderabad state. The integration process repeatedly brought Indian and Pakistani leaders into conflict. During negotiations, Jinnah, representing the Muslim League, strongly supported the right of the princely states to remain independent, joining neither India nor Pakistan, an attitude which was diametrically opposed to the stance taken by Nehru and the Congress and which was reflected in Pakistan's support of Hyderabad's bid to stay independent. Post-partition, the Government of Pakistan accused India of hypocrisy on the ground that there was little difference between the accession of the ruler of Junagadh to Pakistan—which India refused to recognise—and the accession of the Maharajah of Kashmir to India, and for several years refused to recognise the legality of India's incorporation of Junagadh, treating it as de jure Pakistani territory. ^ a b Menon, V.P. (15 September 1955). Original first edition with maps - The story of the integration of the Indian states (First ed.). Bangalore: Longmans Green and Co. Retrieved 22 March 2019. ^ Menon, V.P. "Pdf copy of the book "The Story of the Integration of the Indian States"" (PDF). BJP E-Library. Bharatiya Janata Party. Retrieved 22 March 2019. Singh, Buta. "Role of Sardar Patel in the Integration of Indian States." Calcutta Historical Journal (July-Dec 2008) 28#2 pp 65-78.